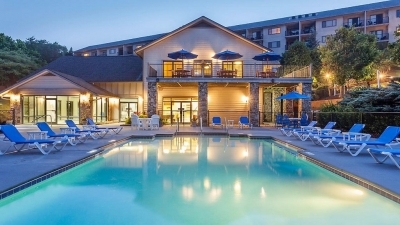 Featuring a glass-enclosed indoor pool facility, this hotel is located in the heart of Pigeon Forge, Tennessee. Free Wi-Fi and a daily breakfast are provided. 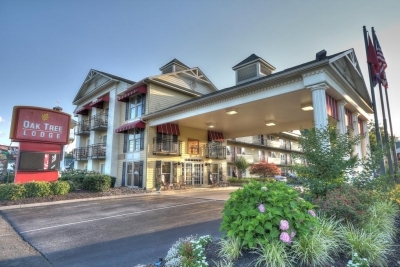 A microwave, refrigerator and coffee-making facilities come standard in each room at Country Cascades. 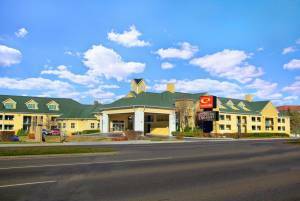 The bright, colourful rooms have a flat-screen cable TV, a DVD player, and ironing facilities. 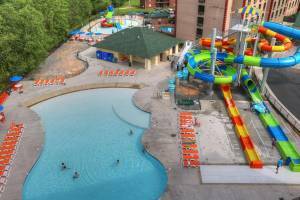 A hot tub and a seasonal outdoor pool are open to all guests at the the Cascades. 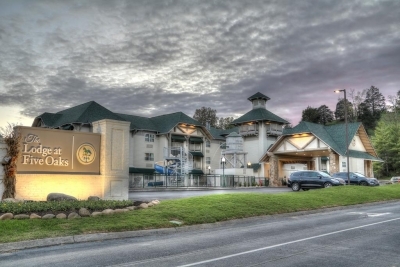 A fitness center, computer station in the lobby, and barbecue facilities are also available. 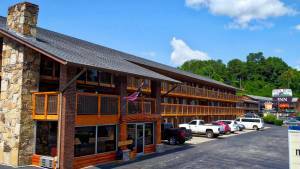 Overlooking the Little Pigeon River, this Pigeon Forge hotel has rooms with free Wi-Fi and a private balcony. 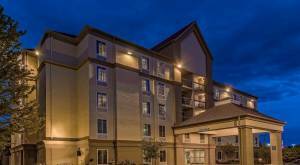 Features include an outdoor pool and a continental breakfast. 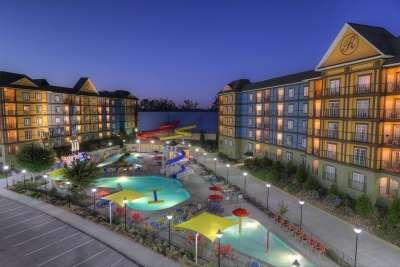 Dollywood theme park is 6.8 km away. 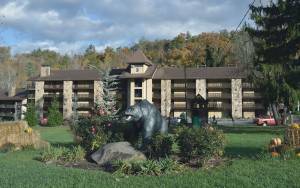 All spacious rooms at the Creekstone Inn include a microwave, refrigerator, and coffee machine as well as a sitting area. 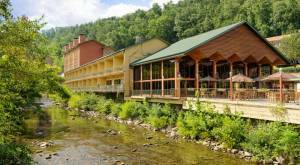 Some rooms have a view of Little Pigeon River. 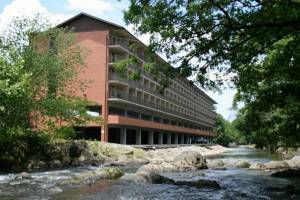 Guests can go fishing on site or enjoy free inner tube (subway) rental for floating down the river. A continental breakfast is served each morning. 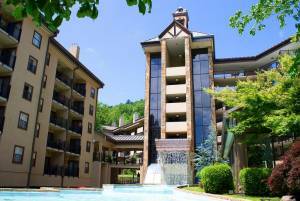 The Pigeon Forge Funtime Trolley includes a stop at the hotel. 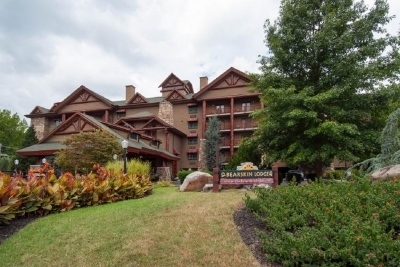 This Pigeon Forge, Tennessee hotel is a 10-minute drive from the Dollywood Theme Park. 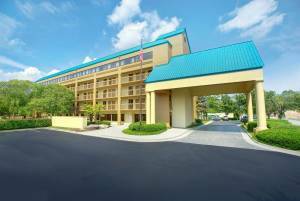 Features include a daily continental breakfast, indoor pool, and rooms with free Wi-Fi. 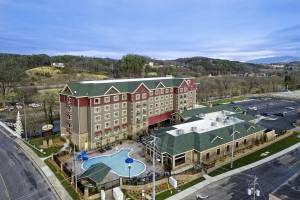 Cable TV, desk, and coffee-making facilities are featured in each room of this La Quinta Inn and Suites Pigeon Forge. Some rooms have a spa tub. 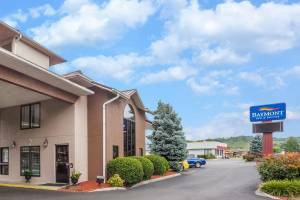 A business center and a mini-market with snacks and toiletries are available at this Pigeon Forge La Quinta Inn and Suites. 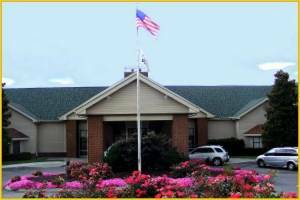 A fitness center and free parking are on site. 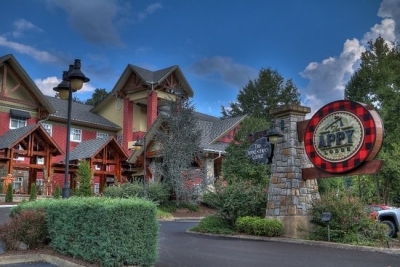 This lovely comfortable hotel is conveniently located on the Parkway in Pigeon Forge within walking distance of restaurants, shopping, attractions and just a short drive from Dollywood, Splash Country and the Great Smoky Mountains. 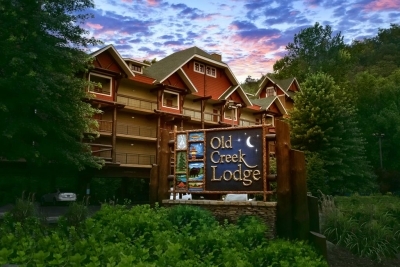 Whether your family is searching for thrills in Dollywood or craving a hike in the Smoky Mountains, Quality Inn allows you to do it all. Just hop on the trolley that conveniently stops in front of the hotel, and go! 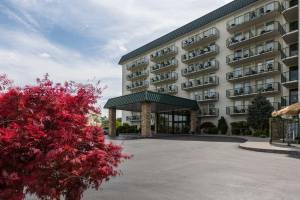 The friendly staff and wonderful accommodations will make you feel at home!